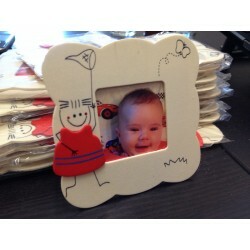 Photo frame for children favours, Picto. Photo frame made of wood, with happy design especially for children. 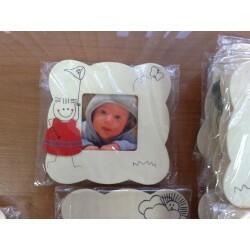 Picture inside the frame: 4.5 cm x 4.5 cm vizible, 5.7 cm x 6.5 cm with the white edge. 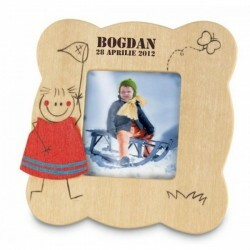 We can print, cut and insert the photo for you at an extra cost of 0.50 lei / buc. including VAT. 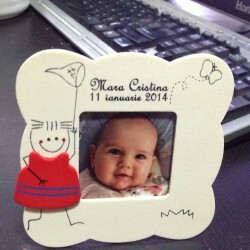 The photo frame can be customized also with writing directly on it, the name of the baby and date of christening, or any other message you want to send. 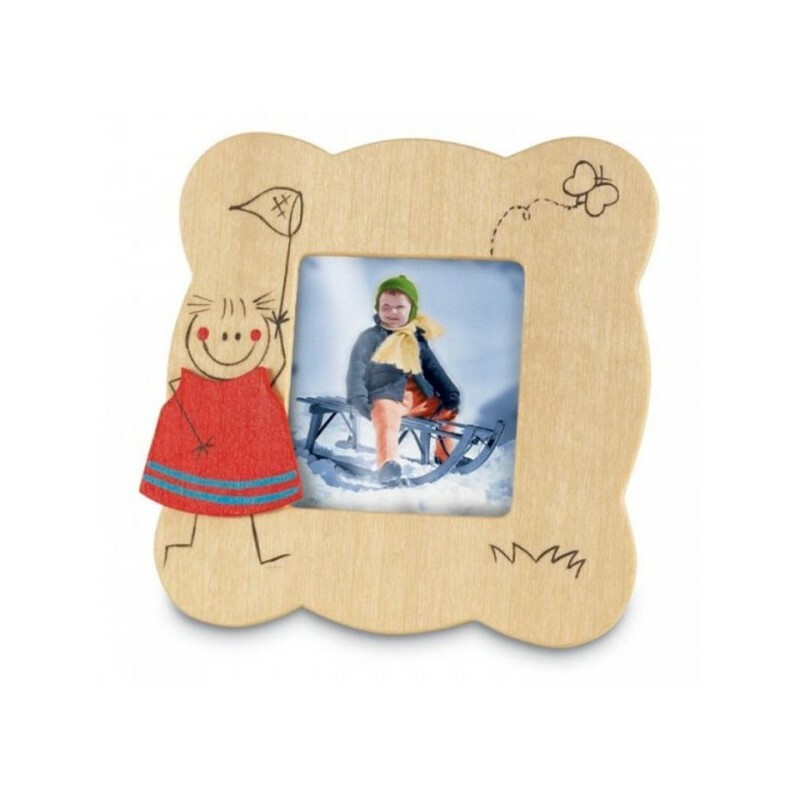 The extra price for this kind of customization will be calculated on request, because it depends on the number of frames that you need. You have in the pictures few examples of this kind of customization.